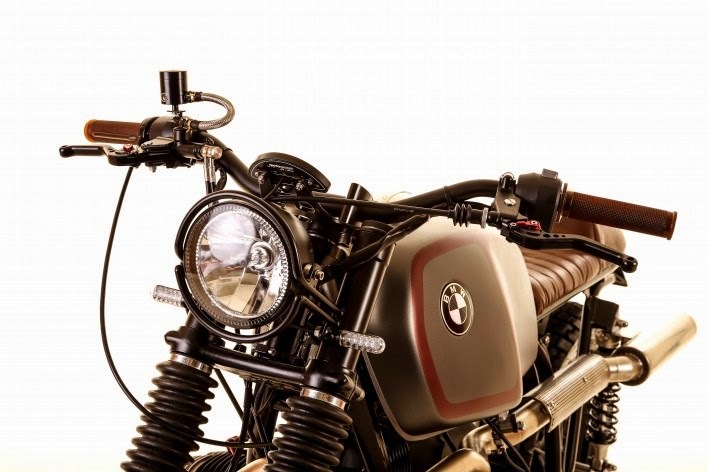 BMW R100 is a cafe racer-style racing motorcycle. 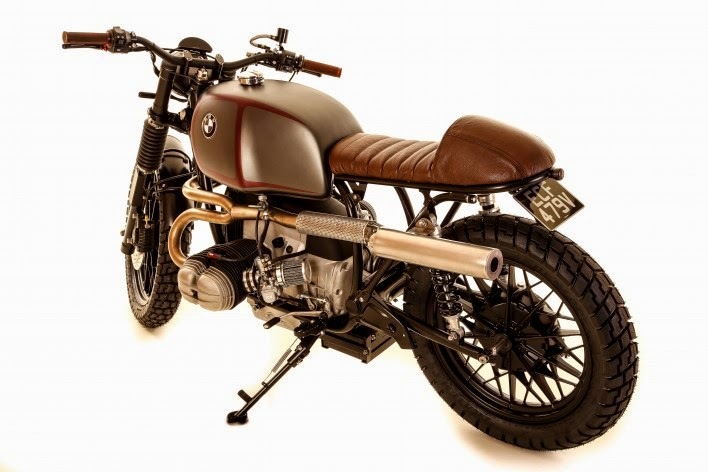 But how it would look if R100 appear adopt street scrambler modifications genre? Surely there will be not difficult, because only need to adjust on several components. 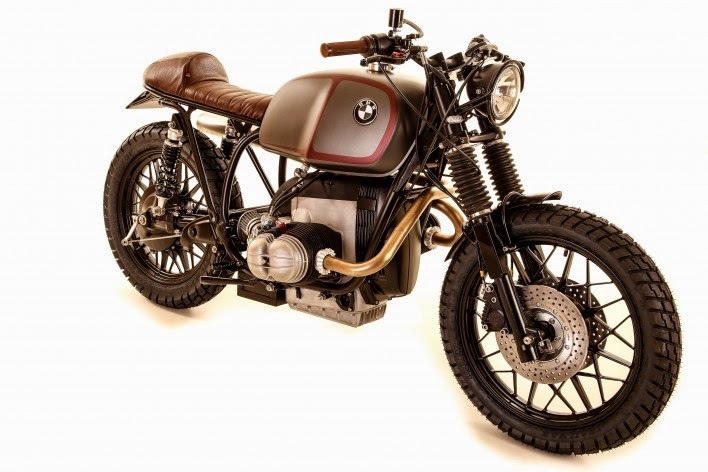 This is done by Kevils Speed ​​Shop, a British specialist classic-style motorcycle modification workshop. He even knew very well how to make R100 increasingly stylish. 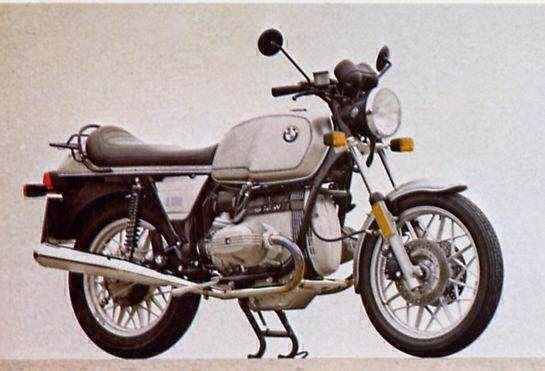 BMW R series itself is quite successful and do not need a lot of changes. If there is a change, the Kevils Speed ​​Shop customers usually want a simple modification, clean and not expensive without compromising the quality. 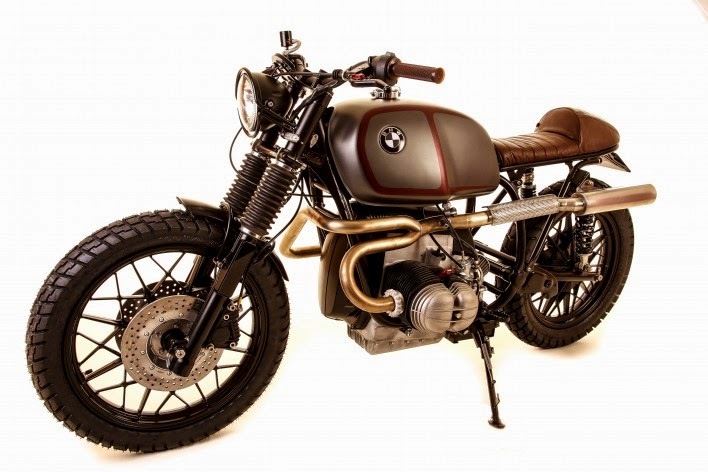 The most interest is the transverse exhaust from the engine block to the rear. 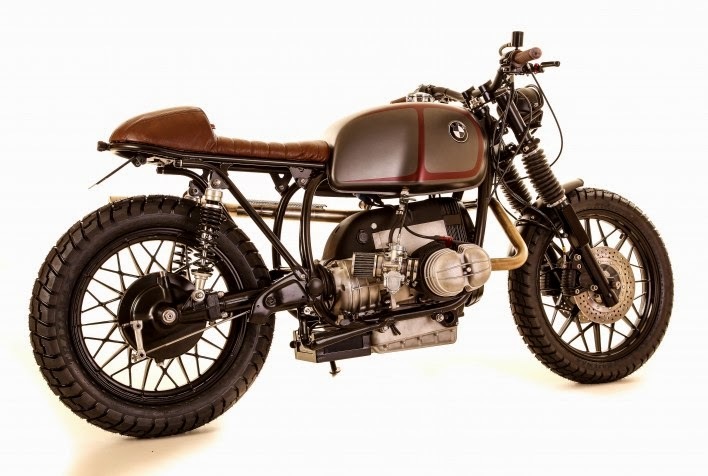 Free-flow exhaust is deliberately designed to support the performance of BMW R100's twin boxer engine. In the machinery sector, Kevils replace old components. One of them by replacing Bing carburetor with Mikuni. And to beautify the appearance, engine block covered with a black coating. Do not forget, this motorcycle is also ready to be used in various fields. So that comfort is maintained, Kevils pair of halo headlight, sport tires, more qualified shock-absorber, and a more comfortable brat-style seats.